At ERX in Las Vegas we have seen our fair share of mold over the past few decades. We have encountered molds that can cause your allergies to flare up and we have come face to face with toxic molds that can cause serious health problems. There are over 100,000 different types of mold that can be found all over the world. And just like any other micro-organism, not all of these mold types are deadly, but how do you know which ones are and which ones aren’t? Before we get down to the different types of mold, let me explain what mold is. Mold is a fungus and it reproduces and grows by releasing “seeds,” called spores into the air. Some spores spread when the humidity is high. Others spread in dry, windy weather or when the mold has been disturbed. The mold spores are too small for us to see without a microscope. When a large amount of mold is growing on a surface, it often appears green, blue, white or black. Mold can be any color and the color of the mold depends on what type it is and is influenced by the nutrient source, surface and age of the mold. Allergenic molds can affect people who have weak immune systems that are susceptible to allergies or people who have asthma. The symptoms of mold allergy consist of sneezing, runny nose, itching, congestion and dry, scaling skin. Pathogenic mold, also known as “infectious” mold, can cause infections, putting people with weak immune systems at risk. Mold related illnesses are classified as mycoses and are the result of a fungus that can actually grow on or in a person’s tissues. Toxic mold can produce or contain chemical poisons that are toxic to people and their pets. Unlike the other molds we named earlier, exposure to toxic mold can cause temporary irritation or more severe long term illnesses, neurological disorders, immunosuppression, or cancer. Not exactly, most people make the assumption that only black mold is harmful. Not only is this not the case, but in many mold inspection cases only dark colored molds are selected for sampling, creating errors when assessing the risk of mold contamination within a building. 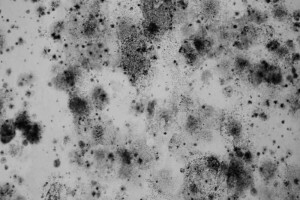 An interesting fact: A media scare sparked the term “toxic black mold,” when reports stating that exposure to stachybotrys chartarum caused pulmonary illness or death started to surface. Alternaria. Alternaria is a type of mold that can be found in homes all over the globe. This type of mold is known to cause allergies such as asthmatic reactions, hay fever, and other common allergies. Aspergillius. Aspergillious can also cause allergies and lung infections. This type of mold doesn’t tend to affect people with strong immune systems but can produce toxins that can prove fatal for individuals who have compromised or weak immune systems. Mucor. Mucor is a type of mold that is generally found in soil, animal droppings, and household dust. This type of mold can cause allergies and lung infections. Penicillium. Penicillium is a type of mold that can be found in dust, food, decaying food, and soil. This type of mold can cause allergies and lung infections when exposed in large quantities. Pencillium is a unique type of mold that can be used to make commercial penicillin and certain types of cheese. You may have raised your eyebrows in disbelief when you saw the phrase “bleach doesn’t kill mold,” but despite what the do-it-yourself forums have said, it is the truth. Bleach is extremely effective when it comes to removing the discoloration of mold but in most cases it doesn’t affect the microflora that causes mold growth, enabling the mold to return when the condition is right. Mold resistant paint is marketed as having antibacterial properties that can kill and prevent mold from growing on your walls. As I mentioned earlier, mold is a fungus not a bacteria. Antibacterial solutions aren’t going to completely remove it or prevent its growth. When you use this paint all you are doing is covering up the mold. The mold can easily grow and spread undetected underneath the layer of paint. When mold is disturbed it can easily release mold spores into the air, causing your mold problem to spread to other parts of your home. Mold spores are microscopic and when they are airborne they can easily be inhaled. Chances are if you are reading this you are not a certified mold removal specialist and despite all of your online searches, you probably aren’t going to be able to completely remove the mold from your home without risking your health. Certified mold removal specialists exist for a reason and they are trained and qualified to safely and effectively assess and remove mold. If your thirst for knowledge on mold hasn’t been quenched contact the professionals at ERX in Las Vegas. We’ve got the 411 on mold.